I do a lot of cooking. And I try and make things as tasty as possible. Even with that, some people are picky eaters. Goblins, however, are not picky eaters. They'll shove just about anything into their maw. Just look at Gobblin' Goblins and you'll see. It's a new card game that's up on Kickstarter now. The mud pie is cooked, the flip flops toasted and the toenails are freshly clipped. Goblins, prepare to gobble! 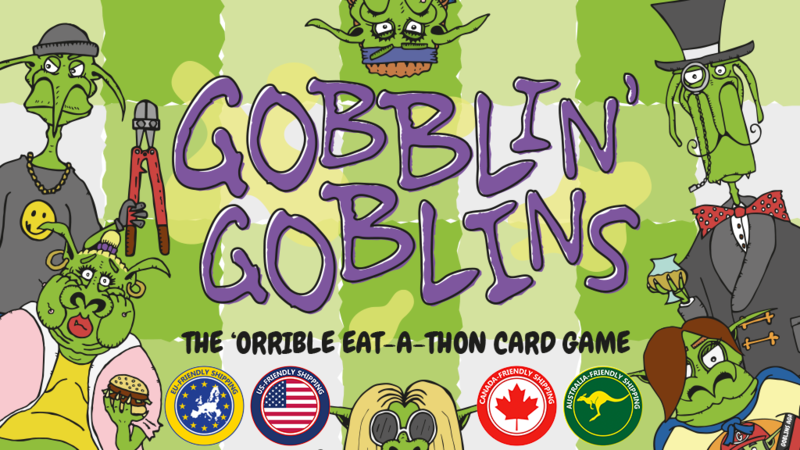 Gobblin’ Goblins is a 2-12 player card game where you must defeat your opponents by being the greediest goblin in a sneaky battle for gross gourmet food. If you like a bit of strategy, a bit of gross and a bit of a chuckle you’ll be all over this like a goblin over a hot bucket of slime. The game's around 1/2 funded with still 25 days left to go.